Twilio is a cloud communications platform for building SMS, Voice & Messaging applications on an API built for global scale. Twilio users can route incoming phone calls to on-call customer support. PagerTree acts as the dispatcher for incoming calls, determining the right people to notify based on on-call schedules. 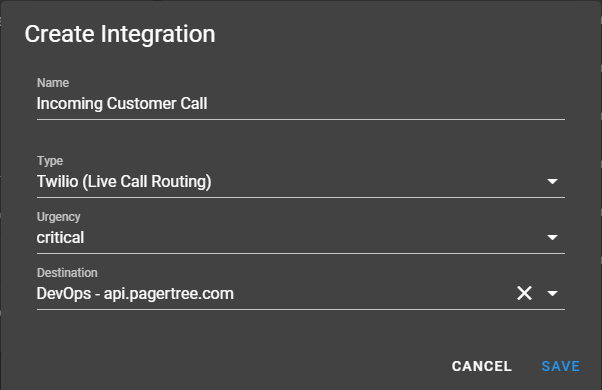 Once the call is acknowledged PagerTree connects the caller to the on-call customer support agent. 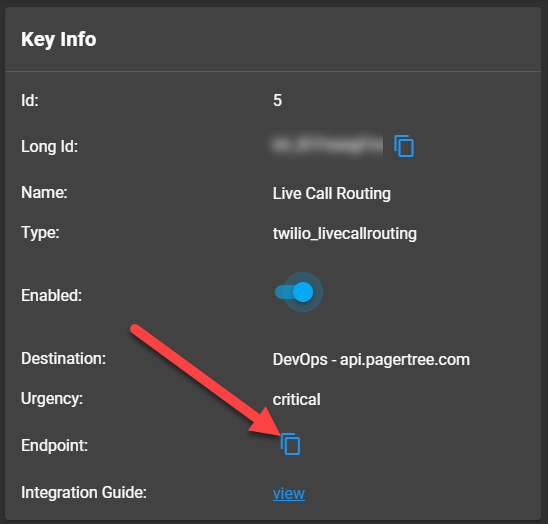 When a new call comes in from Twilio, an incident is created in PagerTree automatically. 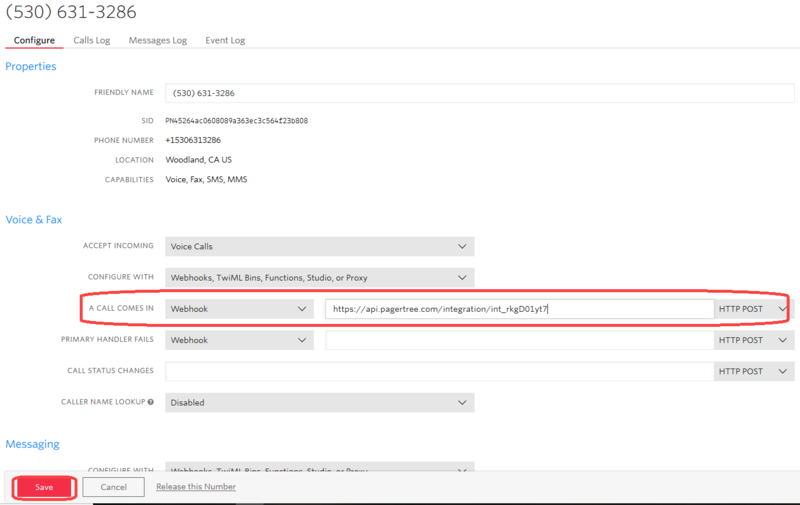 In this integration tutorial we will show you how to route an incoming phone call from Twilio into PagerTree. The estimated time for this integration is 7 minutes. 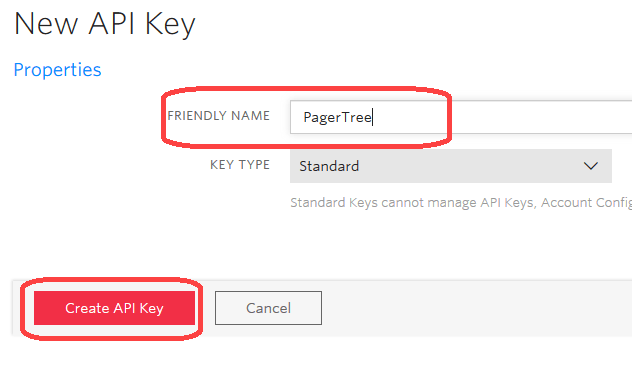 We assume that you already have a PagerTree and Twilio account setup. 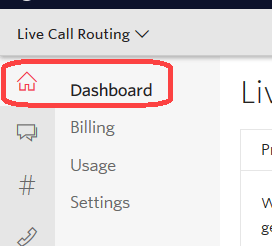 Note: Twilio Live Call Routing requires the Elite pricing plan. Open a text editor, as we’ll need to copy several pieces of data. Check the box acknowledging you have saved the API credentials and click Done. Note. If more than 1 team is selected or the special "all" value is selected, callers will be presented with a list of teams they can choose to be routed to. If only one team is selected, the call will be immediately routed to that team. Paste the ACCOUNT SID you copied earlier to the Account SID field. 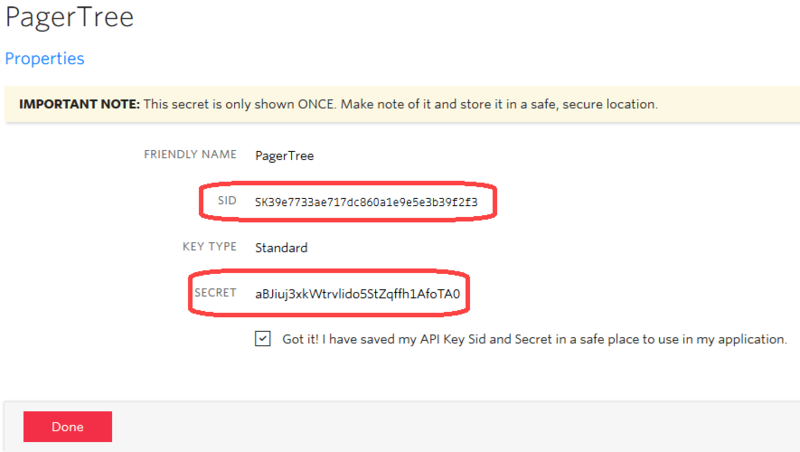 Paste the API KEY SID you copied earlier to the API Key field. 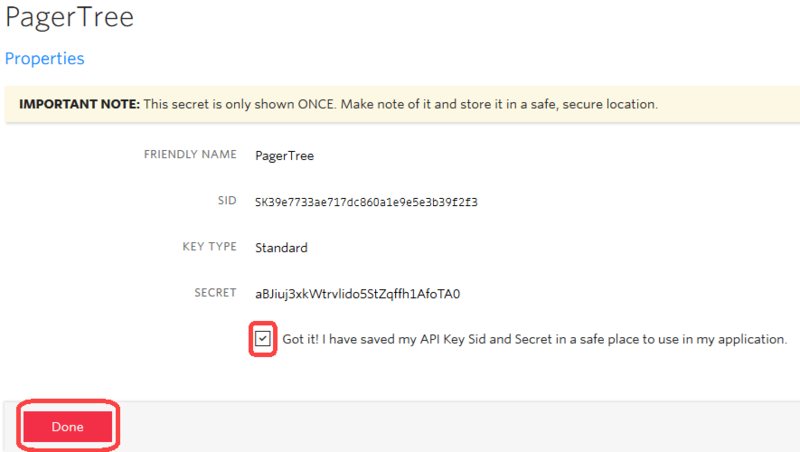 Paste the API KEY SECRET you copied earlier to the API Secret field. Wait Music URL - (Optional) - provide a publicly accessible audio file for callers to listen to while they wait to be connected. No Answer URL - (Optional) - provide a publicly accessible audio file for callers to listen to when no one is able to answer the call. Voicemail - (Optional) - Enable/Disable voicemail recording when no one is able to answer the call. Twilio does charge to record a call, but have a generous free tier. If you haven’t already, upgrade to a paid Twilio account. If you haven’t already, buy a phone number. 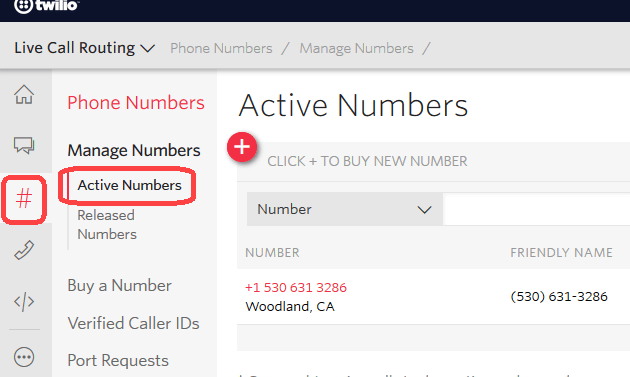 Navigate to your purchased number Phone Numbers -> Manage Numbers -> Active Numbers. Select the phone number that will be used for Live Call Routing.